Distilling more than a thousand pages of Booker Prize-winning prose into six hours of television is no mean feat. Trying to condense the reasons behind the success of the BBC’s version of Hilary Mantel’s Wolf Hall and Bring Up the Bodies is rather easier: outstanding source material; an Oscar-nominated screenwriter; a multitudinously decorated director; a world-class cast; and an executive producer who ran HBO Films for almost a decade – a role for which he received recognition in the Queen’s Birthday Honours list. For the uninitiated, Wolf Hall (2009) and Bring Up the Bodies (2012) are the first two novels in Mantel’s intended trilogy (the third, The Mirror and the Light, has yet to publish) telling the story of Thomas Cromwell’s rise to power as the right hand to Henry VIII through the first half of the 16th century. Wolf Hall was the first book to which Colin Callender optioned rights when he set up Playground Entertainment after leaving HBO in 2008. Inevitably, there was plenty of competition but Callender was able to win the author over. Peter Straughan, best known for movie adaptations including How to Lose Friends & Alienate People, The Men Who Stare at Goats and Tinker Tailor Soldier Spy, came on board as scribe but only after he was told the project was set for television. The resulting series, starring Mark Rylance (main image) as Cromwell, Damien Lewis as Henry and Claire Foy as Anne Boleyn, is an intense, brooding piece of television, which lingers on the characters’ expressions and is as much about the silences and shadows between them as it is the whispered politicking and slow-burning menace of a king who is disarming in his vulnerability but primed to ignite at any time. Indeed, Wolf Hall became BBC2’s highest-rating drama series in more than 13 years when it concluded in March this year, while coproducer Masterpiece began airing it in the US in April. Straughan refers to a “post-HBO, post-Breaking Bad confidence” in TV drama, and the experience of working in the medium has encouraged him to explore other projects, potentially penning a pilot for HBO with Tom Hanks’s Playtone to bring Philip Kerr’s Berlin Noir novels to the small screen. “The adult, interesting, complex stories that you used to be able to expect from cinema, you now find in television,” he says. He believes TV is “the writer’s medium,” whereas film remains firm directors’ turf. Peter Kosminsky has worked in both and won countless awards in each, but he was slightly surprised to be asked to direct Wolf Hall – his first period drama. Kosminsky is celebrated for contemporary political dramas such as The Government Inspector (2005), which also starred Rylance, and The Promise (2011), starring Foy, but his career as a filmmaker spans three decades. 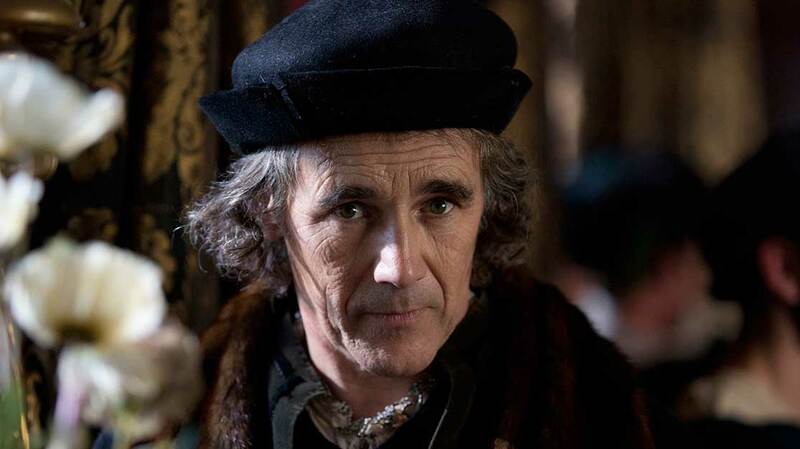 Wolf Hall is all about the politics of the Henrician court, he points out, and while he had read the books when they were first published, it was Straughan’s adaptation that convinced Kosminsky to sign up. “I read a lot of scripts – dozens every year – and I think they were just about the best I’ve ever read,” he says. 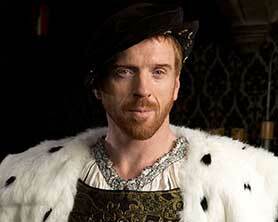 Wolf Hall is very much about watching those wheels turn and the precision with which Rylance engineers them. The actor is in every scene, points out producer Mark Pybus, praising the former Globe Theatre artistic director for his stamina. “In the novels you’re very much inside Thomas Cromwell’s mind and even though it’s not written in the first person, it somehow feels as if it is, and that’s one of the magic tricks Hilary pulled off,” Pybus adds. Just about the only point for which Wolf Hall faced criticism from British reviewers was its occasionally dim lighting, due to a reliance on real candles – something only made possible by the latest Arri Alexa cameras. But the reception was otherwise almost universally favourable. Kosminsky admits all involved were “slightly taken aback by the reaction” – even himself, after such a long career.